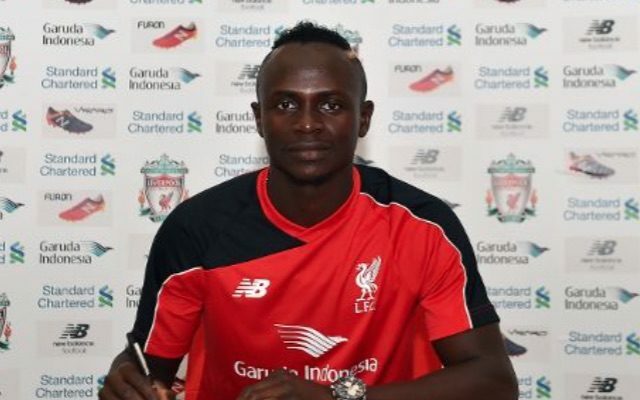 Liverpool have completed the signing of Sadio Mane from Southampton. BBC Sport reports that the Senegalese forward, who scored 25 goals in 75 games for the Saints, has signed a long-term contract at Anfield for a fee which could rise to as high as £36m. That would eclipse the Liverpool transfer record of £35m that they paid Newcastle United for Andy Carroll in 2011, although BBC Sport claims that the initial fee is slightly less at £34m. Mane is Liverpool’s third signing of the summer after goalkeeper Loris Karius from Mainz and defender Joel Matip from Schalke as Jurgen Klopp looks to mould his Reds squad for next season. The 24-year-old is the fifth player to switch St Mary’s Stadium for Merseyside in the last three years, following Rickie Lambert, Adam Lallana, Dejan Lovren and Nathaniel Clyne. And it is the latest high-profile loss that the Saints have suffered this summer. Manager Ronald Koeman quit for Everton and midfielder Victor Wanyama left for Tottenham Hotspur.